The Supreme Court has rejected New Hampshire's bid to revive a state law prohibiting voters from taking pictures of themselves and their completed ballots. The justices on Monday left in place lower court rulings that struck down the law as an unconstitutional restriction on voters' free-speech rights. Roughly two dozen states prohibit voters from sharing photos of themselves with their ballots. But those laws are under legal attack, with mixed results. 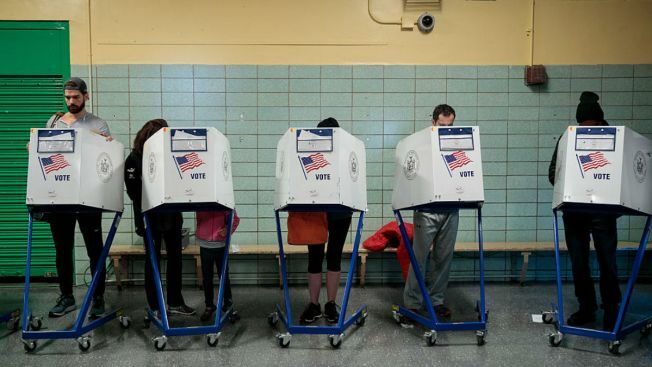 Just before the November election, a judge in New York upheld that state's prohibition on ballot selfies, while a judge in Colorado said voters could take pictures of themselves with their ballots. Ballot photo bans were enacted over 100 years ago as a way to prevent coercion, intimidation and vote buying.